The casual local restaurants, shops and stands that line the streets in the center of the town. 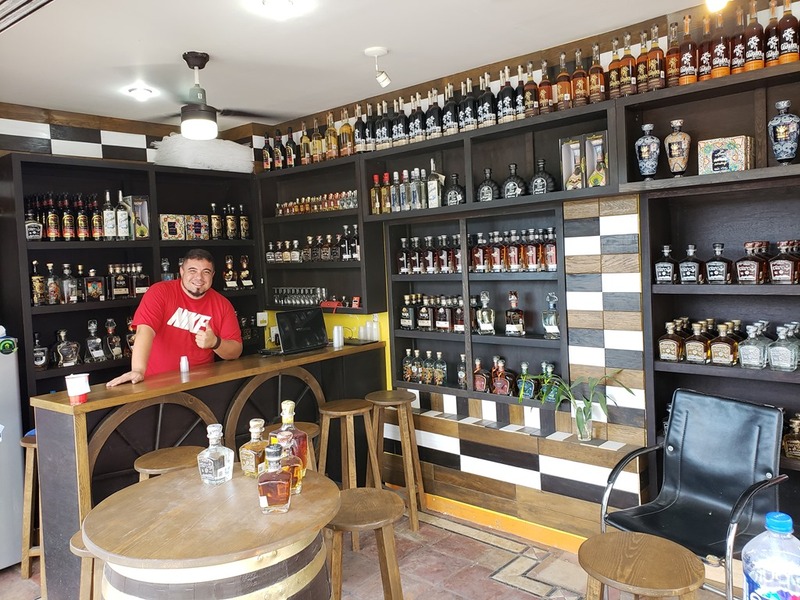 A store that offers tastes and sells bottles of tequila and mescal. 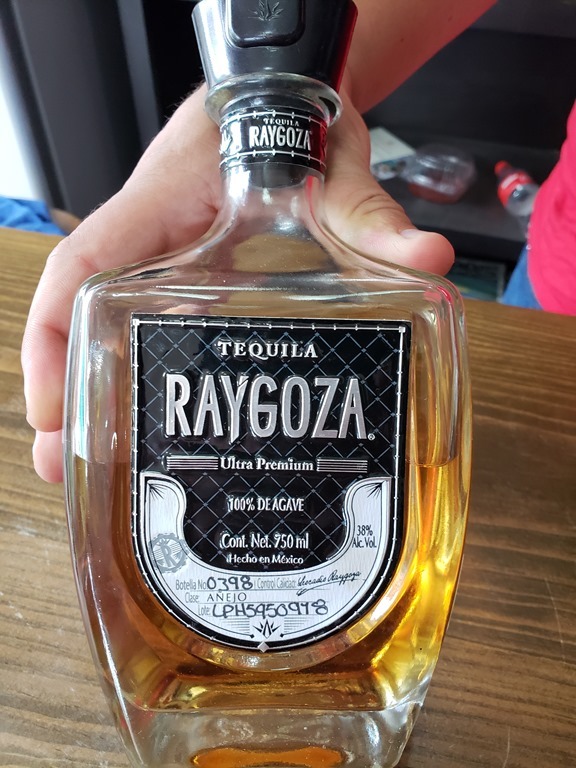 After sampling and discussing several with the proprietor, Tom became enticed with a $110 bottle of Raygoza Ultra tequila that was aged fore eight years in cognac barrels. 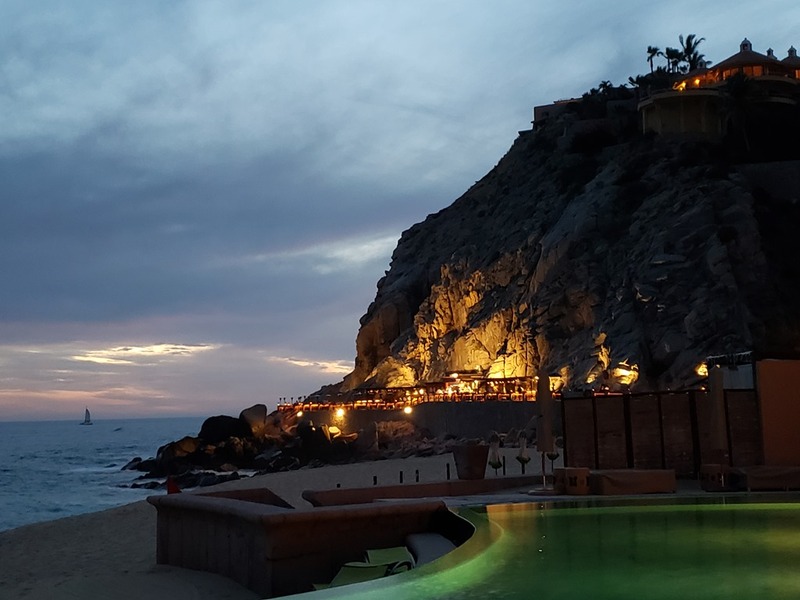 Don Manuel at the Resort at Pedregal was one of the truly fine dining establishments that we enjoyed in Cabos. 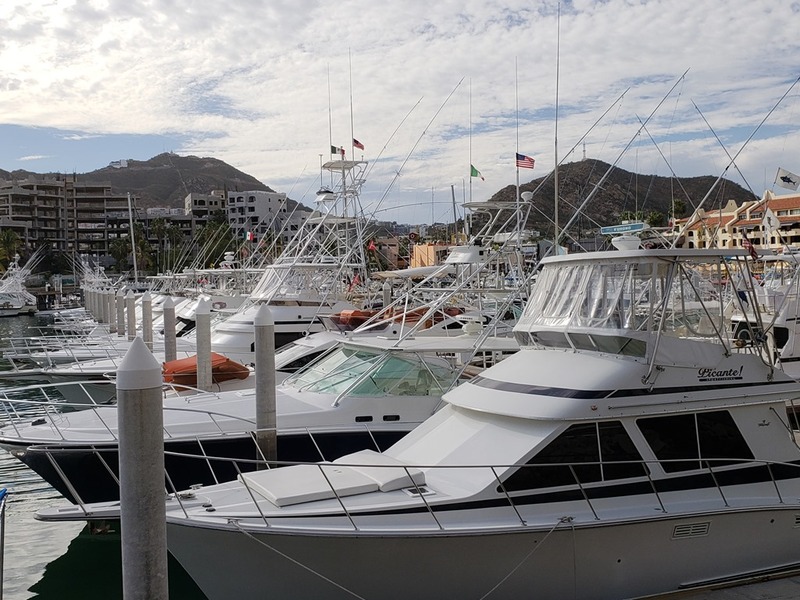 Located on the lower slopes of the lovely mountain that houses dozens of upscale resorts and housing complexes, the Resort at Pedregal is a luxury resort with several restaurants. Don Manuel, the most upscale of these, offers an enticing menu from which, after a late and less than stellar lunch (see below), we were, unfortunately, able to eat only two dishes. We began with a wonderful warm ceviche with a combination of lobster, octopus, shrimp and scallops with homemade chips in a tasty marinade that was less vinegary and citrusy than most. Our second dish consisted of two large, adobo orange-glazed black bass fillets that were sprinkled with peanuts and served with an interesting mixed salad of fruits and cilantro that perfectly complemented the fish. Our quest to sample Mexican wines resulted in tastes of a couple of buttery chardonnays and ended with a pleasant, dry, somewhat floral, lightly oaked Adobo Guadalupe Jardin Romatico 2017. The atmosphere and the service satisfied all expectations for an upscale dining experience. 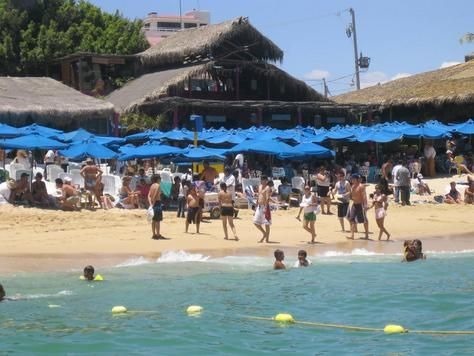 The Office on the Beach Restaurant certainly has atmosphere and the tourists. Most tables in this large, packed, open-air space are on the beach with a lovely view over the water and the town’s rocky headland. 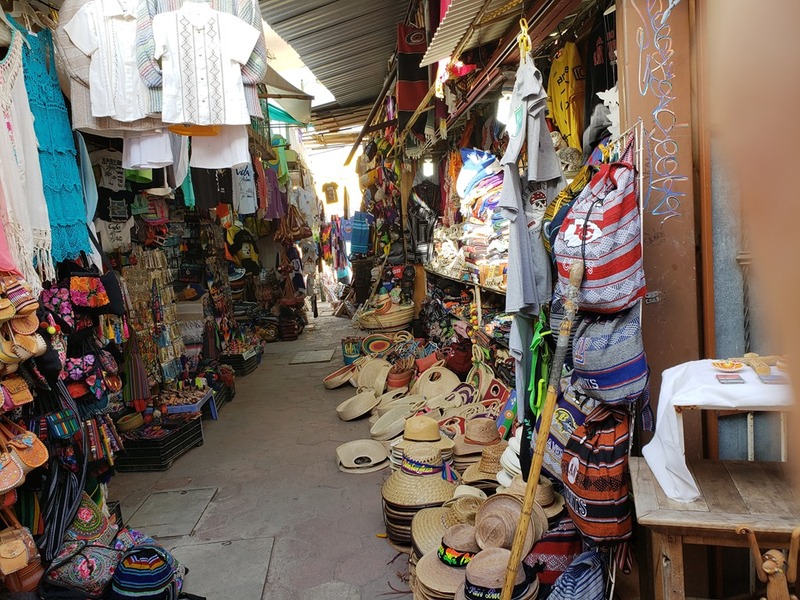 Security guards enforce a border between the diners and the dozens of beach merchants who are hawking goods ranging from tee-shirts and inexpensive jewelry to attractive ceramics and glass sculptures. 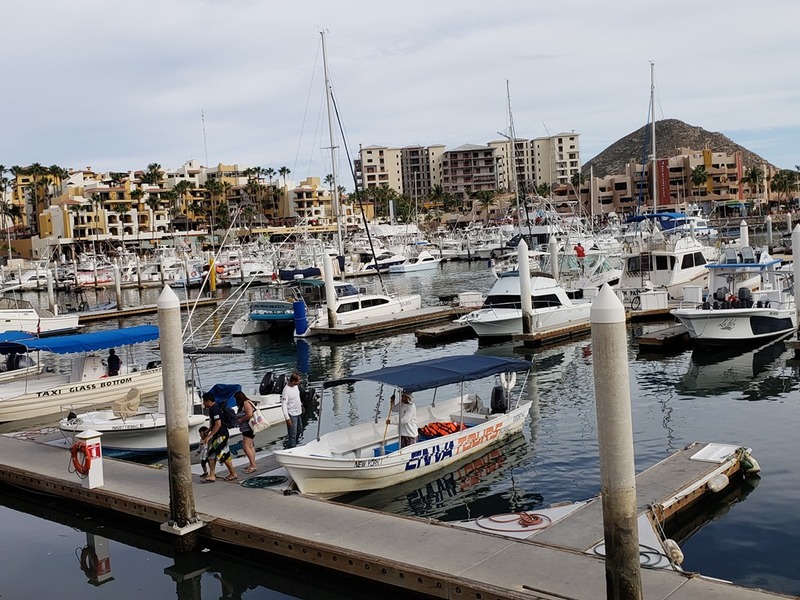 Although we enjoyed the atmosphere, we were very disappointed with the extremely slow service, the weak and tasteless margaritas, the plain, uninteresting guacamole (with chips and pico de gallo) and the non-distinctive blend of melted Oaxacan and Manchego cheeses with chorizo. The meal’s only saving grace was the grilled, herb and olive-oil marinated seabass tacos with guacamole, black beans and tarter sauce. At least we had the view and a ringside, first-row seat to for watching the hawkers, viewing their wares and enjoying their interactions with customers. Isabel, is a friendly, neighborhood-type place (albeit in the middle of a tourist area) where we began with our final guacamole of the trip and Tom’s first Corona (after having previously had Bohemia, Modelo and Dos Equis beers). Then two nice brunch-style dishes: a shrimp omelet and seared tuna tostado. 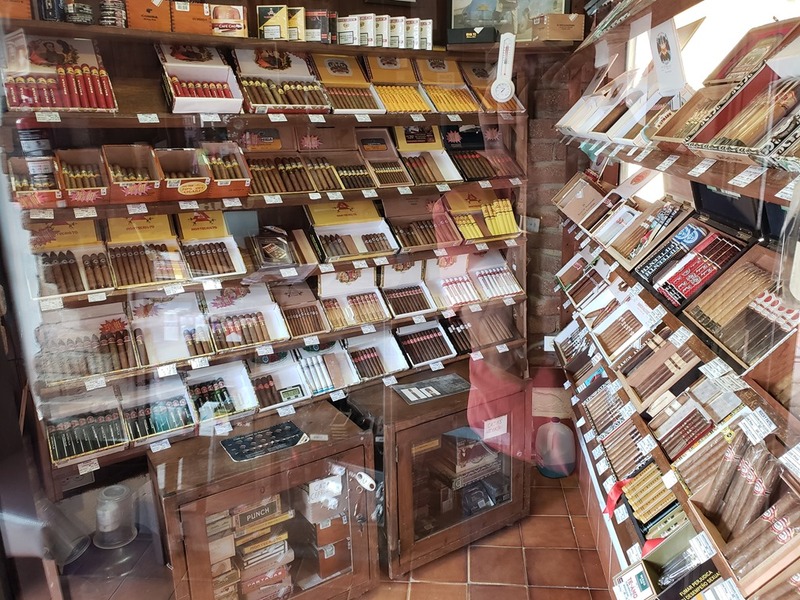 A pleasant end to a nice visit. Marina Fiesta Resort & Spa. Like many hotels in the area, this is a large gated resort hotel with guards to open the gates for you to keep the hawker selling wares away from the guests. Valet parking is free. It has a lovely large pool and lounging area. Unfortunately, the one time we decided to use the pool within the posted times, it was shut down with no explanation. Our room had a refrigerator, microwave, Mr Coffee . While the place was nice, we were a little turned off by some of the staff. Problem number one was finding the checkin desk. The entrance has multiple desks in it for timeshares etc. We were pointed to 3 different spots before we finally found the right spot. The woman clerk who checked us in was speaking her canned speech to us even when we were bent over fiddling with our suitcases. Really strange. The business center by spa but you had to go back to the front desk to be pointed to the concierge desk (where no person was there) to get your printed boarding passes. Car and bell services very good however. The room was adequate and the pricing somewhat reasonable given the area.